Last night I had the urge to make homemade bread. I have made it in the past and it's been so delicious! I tried a different recipe this time (I think I'll try the old one to compare). The bread came out a good but not great. It was a little hard in the middle (I like it nice and soft and almost hard to cut). Below is the recipe I used as well as an image! Hard or soft; homemade bread is the best! In a mixing bowl, combine 2 cups all-purpose flour, 2 cups whole wheat flour and yeast. In a saucepan, heat milk, water, honey, butter and salt to 120 degrees F-130 degrees F; add to flour mixture. Blend on low speed until moistened; beat on medium for 3 minutes. Gradually stir in remaining whole wheat flour and enough of the remaining all-purpose flour to form a soft dough. Turn onto a floured surface; knead until smooth and elastic, about 6-8 minutes. Place in a greased bowl, turning once to grease top. Cover and let rise in a warm place until doubled, about 1 hour. Punch dough down. 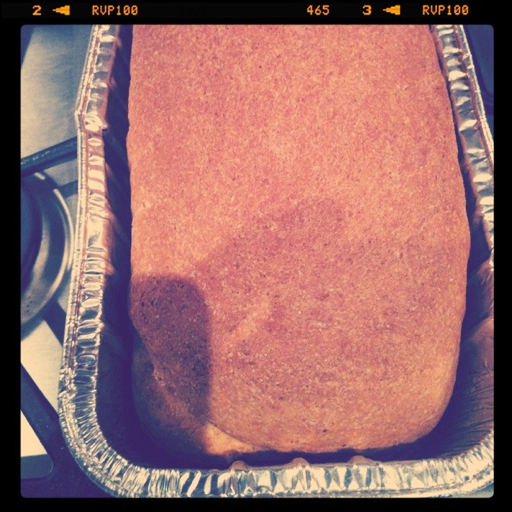 Shape into two loaves; place in a greased 8-in. x 4-in. x 2-in. 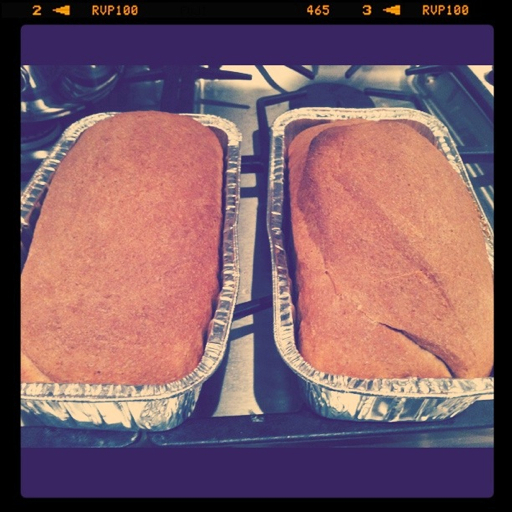 loaf pans. Cover and let rise until doubled, about 1 hour. Bake at 375 degrees F for 40-45 minutes. Remove from pans to cool on wire racks.